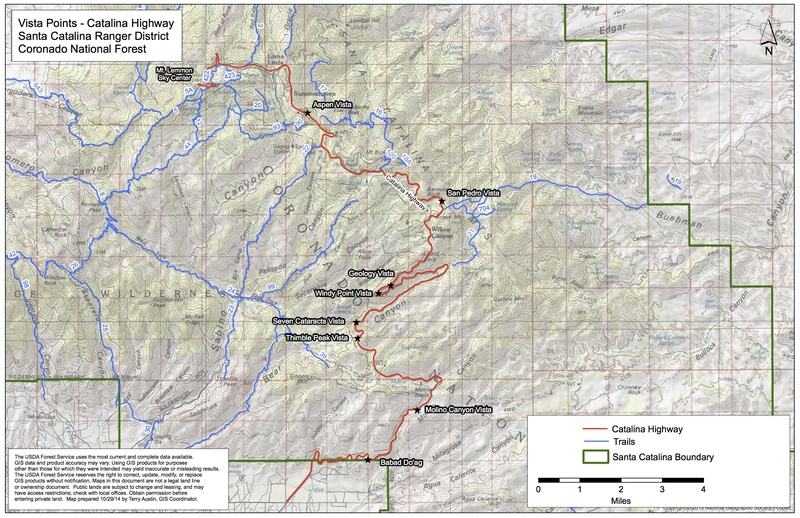 Find Catalina Highway on the northeast side of Tucson. Follow the road up 27 miles towards the town of Summerhaven. Just after the “welcome” sign for Summerhaven (but before the town) turn right on to Ski Run Rd. At the top of this road (about 2 miles) drive through the open Forest Service gate at the end of the parking lot. This is the Sky School road. (Note: During the winter months this gate will be closed and you can proceed no further. We will meet expected visitors here. Go up the road (another 2 miles) to the second, closed, Forest Service gate. Park in the lot to the left; the Sky School campus is beyond this gate. 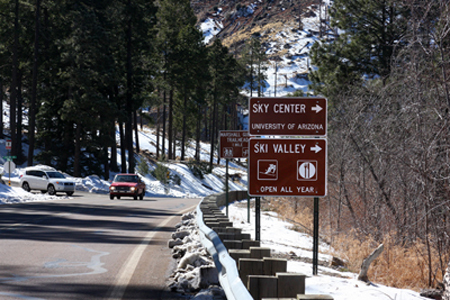 Allow 90 minutes driving time to get from Tucson proper to the top of Mt. Lemmon.